Overall Ranking – Current month ranked plus current month draft. The best indication of a high finish on both ladders. Combined Overall Ranking (CO Ranking) – Combined Ranking (Ranked) plus Combined Ranking (Draft). To show up on here, you have to be on every top 100 list for the last two months. The most difficult ranking to achieve. Rank 1 in ranked, top 10 in draft this season. Top 2o in both ranked and draft in November. Rank 1 in Invitational points. Four ETS Top 8s in Season Two, out of five Weekly tournaments, including a win and a top 2 finish. Fifth at the Eye of Winter Classic. Love him or hate him, the numbers speak for themselves. 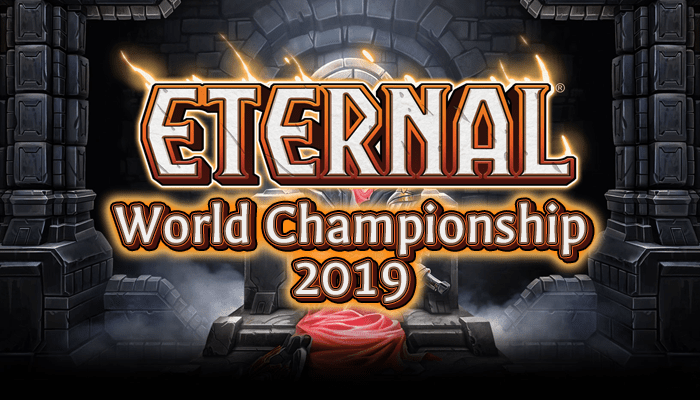 Ilyak1986 is currently the most successful player in Eternal. While I could just list the ladder finishes of these players, I feel their finish deserves some context. Neither is a tournament player, so they have no tournament finishes to gush about. That said, both are very good at playing Eternal. Sunyveil has an average finish of 21st and itsme2283 has an average finish of 26th in both ranked and draft for the last two seasons. That puts both players in the top quarter of the top 100 list at all times. Being at the very top of both ladders for months on end is an incredible accomplishment, made even impressive in that three different players managed to do it! Given the absolutely ridiculous accomplishments of the three aforementioned players, you may be tempted to dismiss these three as “lesser” players. That would be an incredible mistake, as well as a rude dismissal of their talents. Only six players out of thousands managed to acquire a CO Ranking, and these are the final three. Both Mambria and MoistVL have a top 10 finish among their accolades, and Garnotte managed to claim a top 100 place in a season with nearly a thousand players in Master eager to dethrone him. Many of the players who deserve mention in the Overall Rankings are actually Ranked or Draft specialists who managed to make top 100 in the other ladder as well. As such, most of these players will be discussed in their dominant section, and the Overall Rankings will be left until the end. Second by a single position to Ilyak, our Rakano master Unearthly proves yet again that he’s really, really good at laddering. Like Ilyak, he’s also proven himself on the ETS Tournament Circuit. He was the 3rd seed at the November Invitational, is currently the 6th highest ranked Invitational Points player, and has two Season Two Top 8s, including a win, to his name. Look forward to him fighting for another top spot next season. Our #1 ranked player for quite some time, Jaypeg let off the pedal somewhat and finished outside the top 10. Nonetheless, he managed an impressive 12 CRR and threw in a draft top 100 to boot. Jaypeg is a ferocious Ranked grinder and very good at both grabbing and keeping Rank 1. If he wants it next season, you can bet he’ll probably get it. To be honest, I don’t know a lot about Fareda. They don’t have any Closed Beta finishes that I’m aware of, nor any tournament results. That said, rank 4th is an impressive result, and they were rank 16 in November. We’ll see if they have another good finish and start becoming a household name! How the mighty have fallen. It may sound silly to talk about a 24 CRR as being a “poor” result, but in closed beta Finkel absolutely dominated the ladder. Between September and November, Finkel finished Rank 1, Rank 1, and Rank 3. Rumors that he’s loosened his grip on the ladder seem to be well-founded. We’ll see if Finkel can return to his former dominance next season. Both weiseguy and RNGEternal’s own NeonBlonde managed at least one top 10 finish on ladder. Both of these guys have been top players for a long time, with Weiseguy finishing 4th in the October Season to add another top 10 to his resume. Neon will be the first to tell you that the November season was totally unfair and he got it together at the end, which a Rank 3 finish does seem to back up. You’ll see these names again soon enough. Congratulations to all of our other double top 100 finishers! Of special note are top ten December finishers Jay Nite and Caladynus, who managed to climb their way up from a low starting point in November. Thirty five players from the November rankings remained in the top 100 in December, a growing percentage from the November rankings despite the incredible amount of Masters players in the December season. Congratulations to everyone who managed it! You may have heard of this guy before. He’s really good at draft, proving this with two top 10 finishes including a Rank 1 finish in the longest Eternal season ever. And he just started playing in open beta! A very strong drafter, his advice has helped many other players climb the ranks. Neon did a podcast with him recently, if you’re interested. A longtime draft specialist and one of the first twitch partnered Eternal Streamer, SirRhino is no mere entertainer. While his trainwrecks and highlights frequently make youtube, he still manages to force his way into the top 10 when push comes to shove. He’s also well-known for his tournament performance – He has the 7th highest Invitational Points in Season Two of ETS, and a weekly win to his name. Finishing just outside the top 10 this season, Grimfan is another longtime drafter and streamer. While Rhino pushes mainly draft streams, Grimfan swaps between Ranked and Draft on the fly and managed a top 100 finish in Ranked as well this season. A seasoned veteran and a true master, even if he lacks the November Ranked result required for a Combined Overall Ranking. Double top ten finishes tells the story – teriyakiboyz is here to draft. While he’s the fourth player to be mentioned here, only 3 players managed this feat. Another veteran eternal player and streamer, teriyakiboyz has been playing since well before open beta, and is a Master constructed player as well. Congratulations to all of our other double top 100 finishers! Only 24 players from the November rankings remained in the top 100 in December, which means over 75% of the top 100 players were new faces. Congratulations to everyone who managed it! And so we come to our final notable player. GoblinQueen is a skilled ranked player, as evidenced by their top 10 finish, but unlike many of the players on this list is also a player new to Eternal. GoblinQueen first played Eternal after the open beta began. Despite their inexperience, they managed to learn the rope and shoot themselves up into the top 25 of both ladders, an incredible achievement! To everyone on this list, you’re part of a very special few. If you can manage your double 100 again in the January season, you’ll be the 7th+ player to ever have a Combined Overall Ranking. These are the best overall players in Eternal, and if you’d like to throw in a tournament result or two, go for it! Good luck to you all.